One of the most exciting acts right now is heading across North America this Summer and you can grab the chance to be there! The Naked and Famous are coming to Stage AE on Saturday 10th June 2017! These guys will be bringing their unique music to the live stage from New Zealand! Their live shows are the talk of the town as they create a soundscape from Indie, to Electronic Rock… The Naked and Famous are one to watch… tickets are now available – click 'Buy Now' and get on down to witness it all! The Naked and Famous have been going for a while, although it's taken time to bring them over to the U.S. – now North American fans can't get enough! Since their debut back in 2007, they found themselves performing on the mainstream TV talk shows and interviews. Their second album included the single, 'Young Blood' which smashed the New Zealand charts in 2010 and put them on the map! Just one year later, their music travelled across to the United Kingdom, where they were featured on BBC and nominations for awards began to follow, in not just one country but a few! In 2012 the band found themselves living in LA and transformed their career to one that is constantly on the road – hitting up 24 countries! 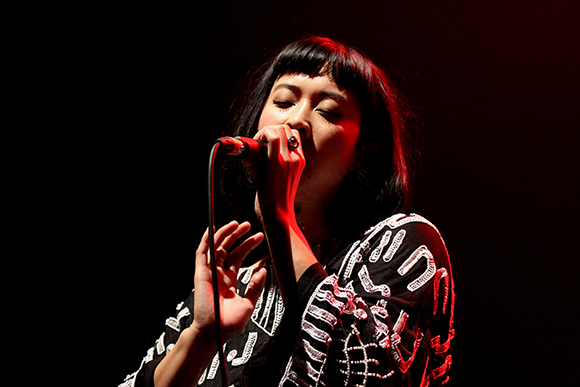 2 years later, The Naked and Famous played a show stopping live performance at the one and only, Coachella Festival! This year, they have already announced their tour with Blink 182 and in addition will be showcasing their own headline dates – catch them while you can! !